On July 7, 2015, the Fourth Circuit issued its published opinion in the civil case Poindexter v. Mercedes-Benz Credit Corp. Ms. Virginia Poindexter appealed the district court grant of Mercedes-Benz Credit Corporation’s (“MBCC”) motion for summary judgment. That court held that all of Poindexter’s claims were time barred and she failed to demonstrate facts that would support all the elements of her claims. The Fourth Circuit agrred and affirmed the district court’s grant of summary judgment because her claims violated the statute of limitations and she did not point to facts that would sufficiently support the elements of her claims. In April 2001 Poindexter purchased an Audi from HBL Inc., who then assigned her repayment contract to MBCC. Poindexter then voluntarily participated in the Home Owner’s Choice Program, which allowed her to put a lien on her home by a deed of trust for her outstanding car payments. This structure made the interest she paid on the loan tax deductible. Poindexter signed a Servicing Disclosure Statement acknowledging the mortgage loan was covered by Real Estate Settlement Procedures Act (“RESPA”). Poindexter executed the deed of trust, which had a covenant that MBCC would release the lien when all payments were satisfied. In 2004 Poindexter traded in her Audi to HBL for a Mercedes-Benz sedan, so she was released from further payments on the Audi. However, MBCC did not record a certificate of satisfaction that would release the deed of trust. Thus, when Poindexter went to refinance her mortgage, she found there was still a lien on her home. She wrote to MBCC and demanded it record a certificate of satisfaction, but MBCC did not do so in a timely fashion. Only after Poindexter filed a complaint did MBCC record a certificate of satisfaction. Poindexter alleged six causes of action:(1) breach of contract; (2) slander of title; (3) violation of RESPA; (4) violation of the Virginia Consumer Protection Act (“VCPA”); (5) violation of Virginia Code § 55- 66.3; and (6) declaratory judgment. The statute of limitation begins to toll when the debt is satisfied. Since the debt was satisfied in 2004 when the car was traded and Poindexter did not file until 2013, her claim was time barred. Poindexter still argued that the court was equitably estopped from pleading the statute of limitations bars her claim. However, the Court found that Poindexter had not satisfied the elements of equitable estoppel because she did not establish facts that showed she did not have a “convenient and available means” of obtaining information about status of the lien on her home. There was also no evidence on the record whether there was a genuine issue of material fact as to whether MBCC tried to conceal anything or falsely misrepresent anything. Poindexter also claimed that her previous dealings with MBCC made her believe MBCC had filed a certificate of satisfaction. However, she only cited that she traded in her Audi to support this claim. MBCC made no further statements about certificate of satisfaction. MBCC’s March letter was found to only have an accurate statement about the release of a security interest in her first vehicle and did not contain any security information about her Audi. Also, Poindexter argued that the district court prematurely granted summary judgment because it did not rule on her motion for discovery. But Poindexter did not show how the information she requested would have created a genuine issue of material fact sufficient to overcome summary judgment. The Fourth Circuit found no error in the grant of summary judgment on the breach of contract claim. The Court found that MBCC did not publish false words with malice that disparaged Poindexter’s title to her property. There was no evidence in the record that showed MBCC had acted with malice or reckless disregard and Poindexter only pointed to the fact that MBCC didn’t file a certificate of satisfaction. However, the Court found this to just be an administrative oversight and showed nothing more than negligence. Therefore, Poindexter did not establish the elements for slander of title. The Court also found it was untimely because it was outside of the five year statute of limitations. A provision of RESPA states that a response to any “qualified written request” was necessary upon receipt. However, the Court did not find that Poindexter had sent a qualified written request that requested “information relating to the servicing of the loan.” First, her oral communications did not qualify as written requests. Second, the letter from Poindexter’s attorney to MBCC did not have a statement of the reasons or sufficient detail related to the servicing of the loan. 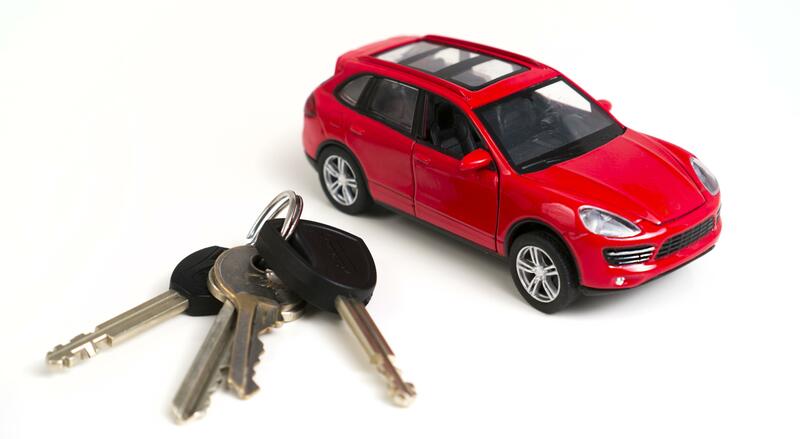 That letter only referenced the details of another vehicle, which was not the Audi, for which the deed of trust was recorded so it did not properly identify the “account of the borrower” as RESPA requires. The Court also found that Poindexter’s correspondence did not relate to the servicing of her loan. The Court followed the reasoning of Medrano v. Flagstar Bank, and held that Poindexter’s request related to the terms of the loan and mortgage and an obligation that arose after the loan was satisfied. Therefore, it did not relate to the receipt of making of loan payments and did not satisfy the elements of a RESPA claim. The VCPA protects against deception or fraud in consumer actions but does not apply to mortgage lenders. The Court held that MBCC was a mortgage lender because after HBL transferred the vehicle loan to MBCC, Poindexter agreed to modify the car payment agreement and place a lien on her house. Thus, the vehicle loan was converted into a mortgage loan. The Court further reasoned that both parties had a clear intent that the payment arrangement be a mortgage loan. Also, Poindexter reaped the benefits in tax deductions from it being classified as a mortgage loan so she could not avoid its consequences from such a classification. This section states the requirements for the filing of a certificate of satisfaction as ninety days after the debt was paid and the consequences if the certificate is not filed. However, Poindexter’s claim was time barred. Her cause of action accrued on the ninety-first day after her obligations were satisfied in 2004. Since she did not enter a complaint until 2013, her claim was outside of the two-year time limit. The Fourth Circuit affirmed the district court’s granting of summary judgment for MBCC on each count. The Court held that these claims were either outside of the applicable statute of limitations or that Poindexter had failed to establish all the elements of her claims.